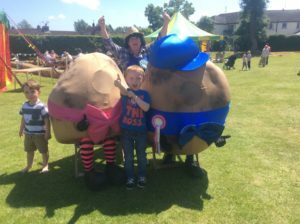 Farmer Pat is super proud of his prize winning potatoes. 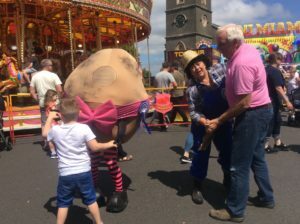 Who knew Mr and Mrs Spud were grown to dance?! 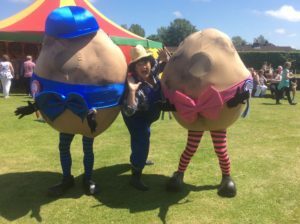 Keep your eyes peeled for the hottest potatoes in the west country. They ain’t no couch potatoes, they’ve got the moves. 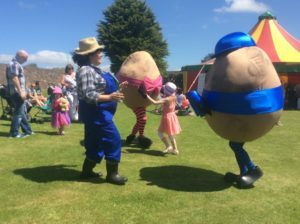 They are the funkiest tatties you’ve ever seen! They can get down with the best of them, in fact they’re smashing dancers! 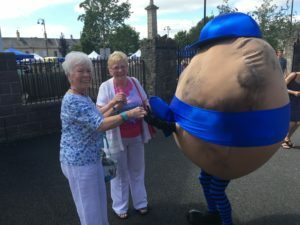 Their favourite dance is the mashed potato of course, they love a good mash up on the dance floor and Farmer Pat tries to keep his crazy taytos under contol. 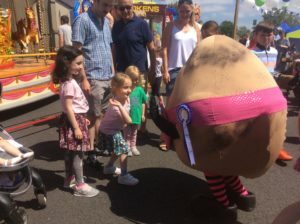 Forget that chip on your shoulder and get down for some crazy dance moves direct from the west country farmers market.